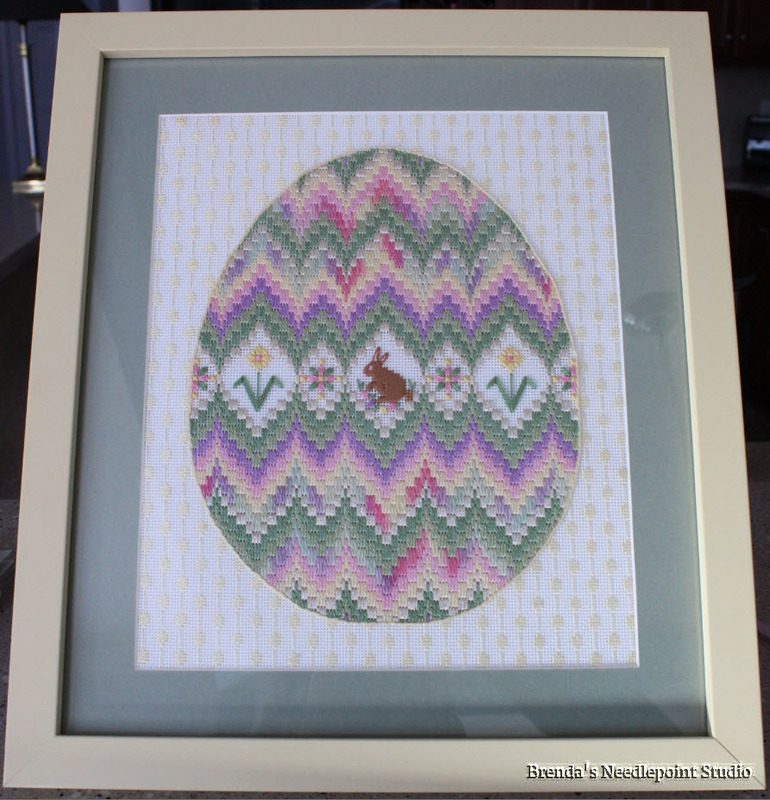 February, 2012--This was my first Laura J. Perin Design project and I'm hooked. Taught at a Seashore Chapter meeting. Love working with perle threads and the Easter Egg colors are scrumptuous. Had this framed with a stand-up easel in the back so it could either be hung on a wall or stand up on a table. Then I gave it to my DGDs (Ashley and Casey) as an Easter "card". It's so much fun to give needlepoint as gifts.